The high-speed sport of the future from Roll7 and 505Games, Laser League, is officially leaving Early Access on Steam. It’s also coming to PS4 and Xbox One! May 10th, 2018 is the official date for all three platforms. 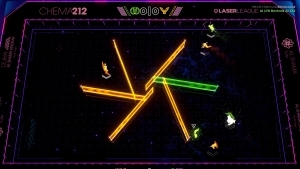 Evade laser patterns, pick from six unique classes, and score by defeating the other team (or trick them into plunging into your teams lasers)! 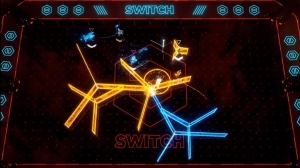 Laser League will launch on Steam with an additional seven maps, two stadiums, and two new power-ups included in the price of purchase, along with six unique new modifiers, providing a new way to play each class. There is also the NewMotion Brand DLC, which includes new player models, eight kits, and exclusive laser patterns, emojis, and character portraits for 1.99. The added content and DLC will come on console later in May. 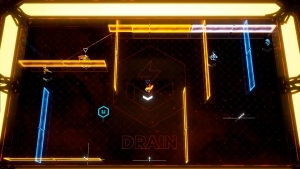 505 Games and Roll7 are proud to announce that their arcade-style multiplayer sports title, Laser League is now live on Steam, Playstation 4, and Xbox One!